Learn more about the new CSA Top Threats Report and how to protect yourself. In the borderless world of Cloud computing, everything changes. You cannot deliver a cloud enabled business without a fundamental redesign of your security infrastructure. On-prem systems are increasingly integrated to cloud-based platforms which creates an abyss for data to spread to the farthest corners of earth, across the globe. Data flowing out of your control imposes significant security risks on the corporation, network, IT and the day to day activities of the business. Between all these touchpoints, a tremendous chasm must be traversed efficiently and safely, while maintaining control and ownership of data. With a mountain of sensitive data flowing back and forth daily, a new era of data security must evolve. Organizations must be savvy enough to combat threats while protecting the valuable assets – the data. During this webcast we will discuss some of the finding from the CSA Top Threats report and how data protection can help mitigate and manage the risks. 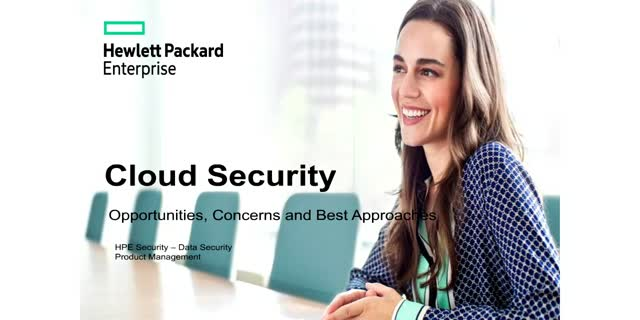 Think of security as an enabler instead of an obstacle for cloud adoption.